Activated T cell secrete it. Cancer takes advantage of the ability to hide from the immune system by explotting a series of immune escape mechanisms that were developed to avoid autoimmunity. 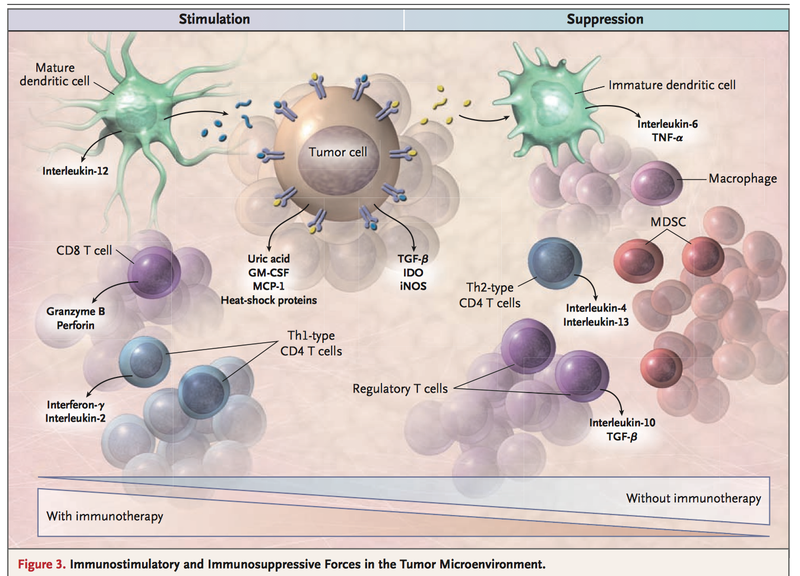 Among these mechanisms are the hijacking of immune-cell intrinsic checkpoints that are induced on T-cell activation. 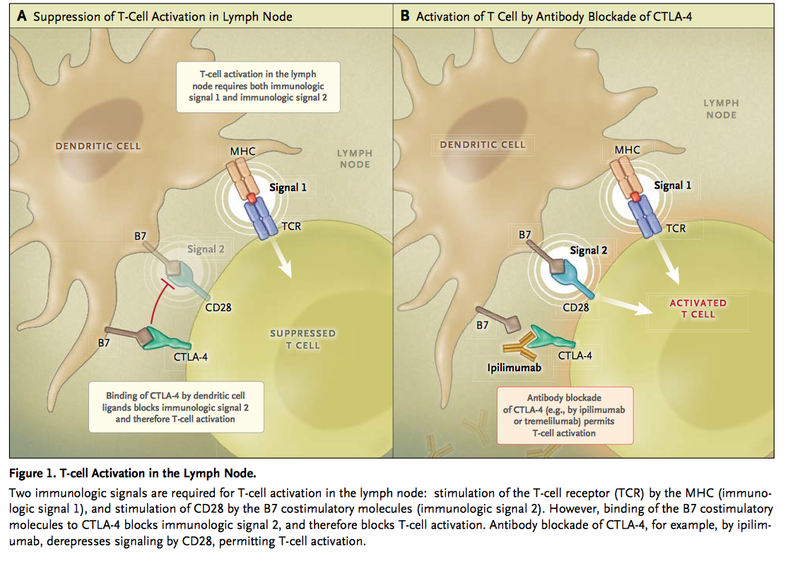 CTLA-4 (cytotoxic T-lymphocyte–associated antigen 4) is one of such check point. 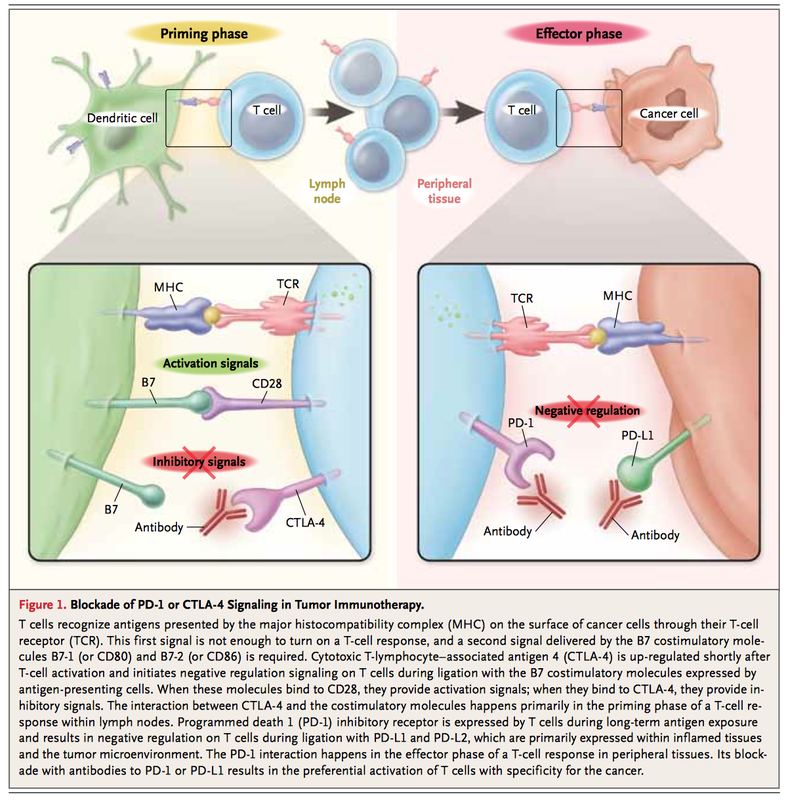 Ipilimumab is an antibody, that binds to CTLA-4 and thus derepresses the T cell activation. Thus, T-cell get activated. 2nd mechanism that Cancer cell uses to protect themselves is by making T cell functionally non-active after prolonged exposure to T cell. They do so by causing expression of PD-1 (Progamemed death 1) receptor in T cell and they them selves generate PD-1 Ligand that binds to such receptor to make T cell inactive. This in turn suppresses the effect of TCR on T cell activation. Thus, T cell remains inactive. 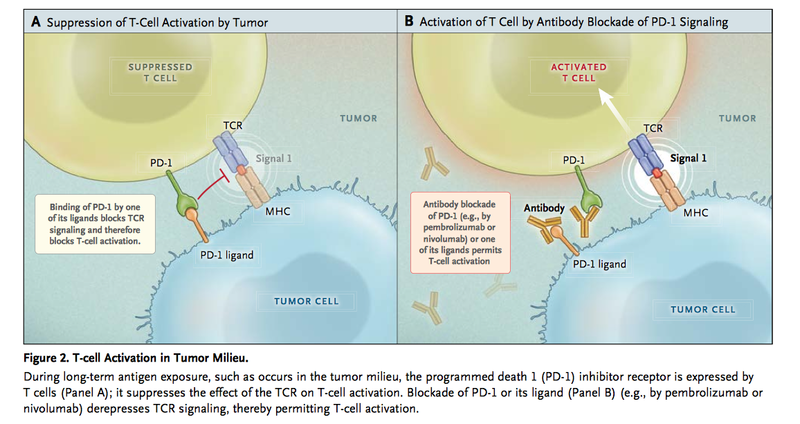 Blockade of PD-1 or PD-1 Ligand helps T cell remain active.